Video and email marketing are a powerful combination. Are you looking for increased engagement, more views, higher click-through rates, measurable value? Pairing email and video is one of the most effective ways to get there. If you don’t yet have an email marketing strategy, video can be an excellent way to kick-start your campaigns. If you do email marketing, video will add a new level of interest and engagement to your content. Email marketing has continued to be a staple in the field of marketing. It’s our direct-connect to the opt-in audience. When done well, email marketing allows content marketers to reach segments of their viewers with relevant messaging. Online video, in its own right, has proved to be an incredible arrow in the quiver of content marketers. It’s become prevalent and effective in connecting with viewers due to its powerful storytelling potential. 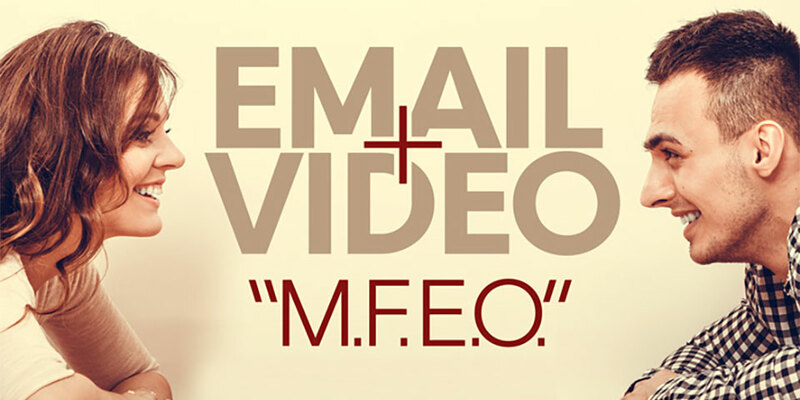 An email marketing campaign that includes a video component can be incredibly engaging. Online video content is packed with potential to engage viewers with your brand. And yet, simply posting your video on YouTube or your website isn’t necessarily going to lead to increased views. Discovery is the key. If no one knows the video exists, or very few people are willing to share it, then it’s not going to have much success or value. Email marketing fills the gap so that your video marketing gets jump-started through audience-relevant campaigns. Your email subscribers have already expressed interest in hearing from you. Video adds value to that experience. So, embed video in email? The short answer is no, in the vast majority of cases, don’t embed video content in emails. It doesn’t really work from a user experience or marketing standpoint. Compatibility issues threaten to break the experience and reduce the value of the video content, while most users already expect that clicking a link in email will take them to a website. A better approach is using a thumbnail image of your video in the email to link to where your video is embedded and where, potentially, a conversion can occur (usually, a campaign landing page on your website). Simply having a video in an email campaign isn’t enough. The video and written content that users encounter along the way should align to keep users engaged. It’s crucial your email content and your linked video content are clearly related, so that the transition from one to the other is seamless. Of course, once your campaign is delivered, it’s time to measure the results. Video content is an excellent hook for email marketing, driving engagement in the form of opens, CTR, views, and conversions – all of which are actions to which you can assign value. The unique analytics for both the email marketing and the video can reveal correlations and provide deeper insights into user activity. Have you used video and email marketing together? What have you discovered from the experience? Your email subscribers have already expressed interest in hearing from you. Video adds value to that experience.